On Monday, I visited Bonnie Amos, the wife of Commandant Gen. Jim Amos, for a feature on her becoming one of the first spouses of a service chief to visit a conflict area. She toured Afghanistan and several other countries on Christmas week, and was excited to share details about it. As most conversations with Mrs. Amos do, the interview turned into a cheerful conversation in which she poked fun at herself and showed an overall love of all things Marine. 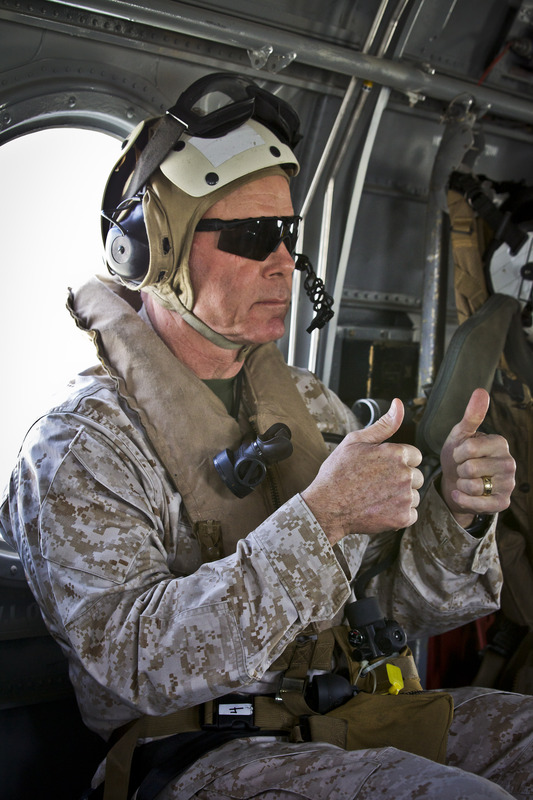 There’s an interesting footnote, too: a scan through photos released by the Corps shows the commandant is credited as the photographer of one of the pictures. 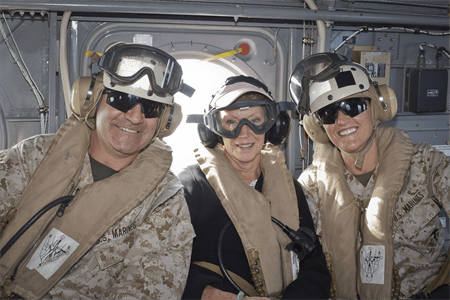 The image above is of Bonnie Amos and two other Marines, Master Sgt. David Peacock and Sgt. Mallory VanderSchans. VanderSchans is his official photographer, so it stands to reason Gen. Amos was sitting on the opposite side of the bird, and took the camera. It appears that one was taken on the way to the Peleliu, where the bulk of the 15th Marine Expeditionary Unit, out of Camp Pendleton, Calif., is currently deployed.